We remember certain events in our lives and they stay with us forever. 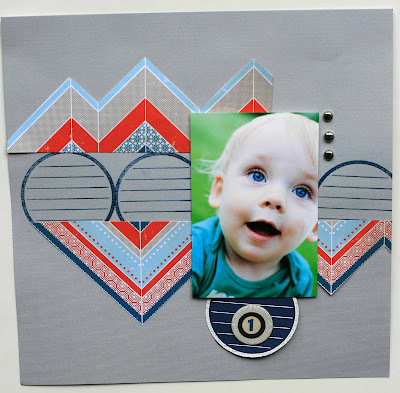 In my scrapbooking life I remember one day in particular...it changed my scrapbooking world! I was new to all that is papercrafting and so I decided to attend a card class. In that class we learned how to heat emboss..I...was...HOOKED! The minute my instructor started to heat that powder and it magically turned into this beautiful dimensional substance I nearly lost it! My mind went crazy with all the possibilities of how this could be used in my scrapbooking world. 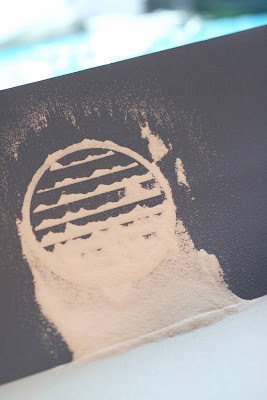 Today I am going to share with you the magic of heat embossing and all that it offers to you. 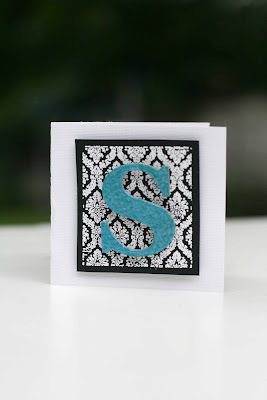 I will take you through the steps of heat embossing and then show you some fun ways to use this incredible technique! Let's talk basic supplies first. 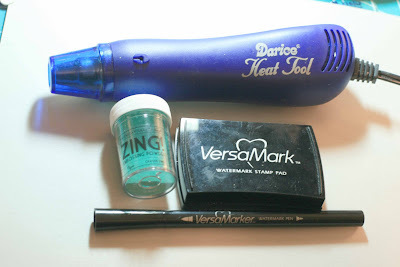 To heat emboss you will need a few essentials. First you will need a stamp (any stamp will do, clear, rubber, anything that can be used as a stamp) make sure you have a hard and stable surface to stamp on to get the best results. Heat Embossing Powder/Enamel:This product comes in a variety of colors and styles. Glitter, colored, clear, distressed, just to name a few. The enamels function the same as powders but are thicker and give you more dimension, and come in fewer color choices. Heating Tool: This is a tool that heats your embossing powder/enamel to a temperature that turns it into it's dimensional form. Beware, this tool will burn and melt things so you must take care when using it. If held too long or too close over your powder/enamel it will "burn" it and may not give you the best outcome. I recommend taking some time and experimenting with this tool to find what works best for you and the product you are working with. 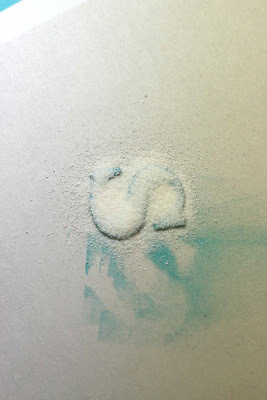 Step 2: Next, apply your powder to the entire surface. Gently tap off the excess and return it to it's container. Step 3: Using your heat tool and staying about 2-4 inches from the powder/enamel, heat and watch the powder magically change before your eyes into a glossy, raised area! I like to stay in one area and make my way around my image to make sure I get everything heated. Sometimes you may have to tip the stamped image so you can see the "change" occur. Some powders change is very subtle, while others are very noticeable. Again, experiment with your powder first to see how it reacts to the heat. 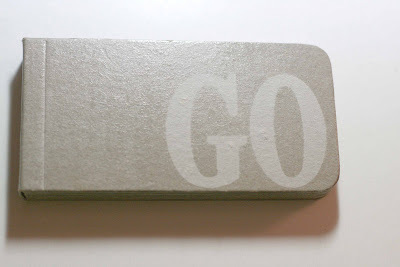 Now that you know the basic steps of heat embossing, let's try some fun techniques! 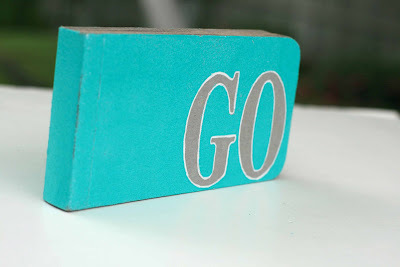 First I would like to show you how to emboss chipboard. There are two ways to do this. The first one I will share is to use the watermark ink pad and apply it directly onto a chipboard album. In this project, I applied some letters on the chipboard album first as "masks" and inked the entire album with the watermark ink. I then removed the letters and applied colored embossing powder to the entire surface of the album (back, front, and spine). I did this in three separate steps to allow each side to cool before moving to the next surface. Another technique you can do is emboss an element onto a layout page. 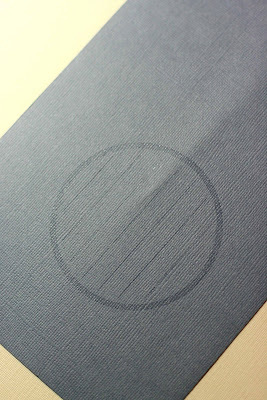 Here I used a journal circle and heat embossed several of the circles across the page. I also heat embossed the same image onto a separate piece of cardstock with a different color of powder, cut it out and placed it under the photo. You could really make some stunning embellishments and backgrounds using this technique on your layouts and cards! 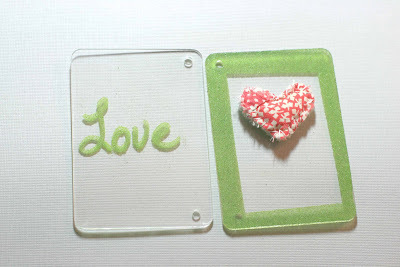 My newest obsession is heat embossing acrylic! I know it sounds a bit scary but trust me the results are incredible! I would also recommend using thick acrylic. In this project I merely took my watermark stamp pad and inked just the edges of the acrylic ATC card. After applying powder and heating it the acrylic looks like a window or frame. Now for the really fun part....there are watermark pens!! 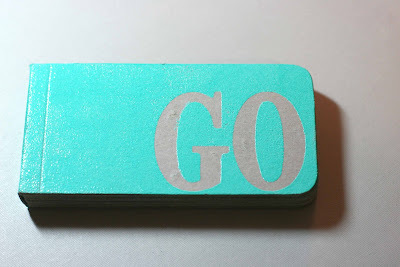 You can make whatever design or spell whatever you would like and heat emboss it! Here I wrote the word "love" and heat embossed it onto the back cover of my album. No special directions are needed for this. 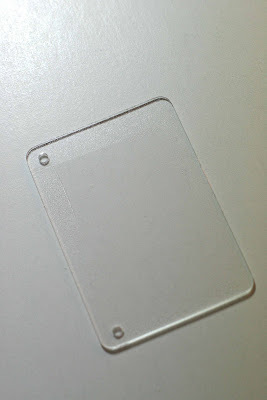 Just allow plenty of time for the acrylic to cool and don't heat too close to the surface. If you stick with the rules of heat embossing in general you will be fine! 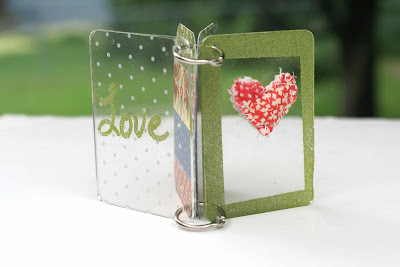 Using powders that are clear with a bit of glitter make for great winter themed album on clear acrylic! I have heat embossed whole pages of acrylic before and the result is stunning!! Experiment and I think you will love the results. Here are a few other ideas....stamp and heat emboss on a photo, stamp and emboss an element over and over on cardstock to make a really cool background, emboss an image and make a really unique embellishment, write with the watermark pen and make your own design or background, personalize your project, the possibilities are endless! 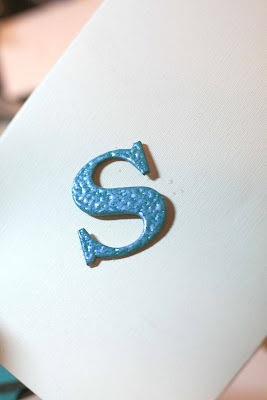 I hope this tutorial has encouraged you to use your embossing skills, whether you are new to embossing or not, and to incorporate them into your favorite paper arts! I think you will love the effect and feel of this magical powder! Maybe the day you first heat emboss will change your world forever too!! Happy heating!! What do YOU think? If you have any questions about heat embossing please leave a comment here and I will answer them in a follow-up article. 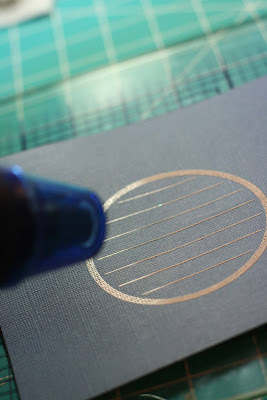 I have not entered the world of heat embossing yet, but after reading this review (and seeing the coolness of that GO book) I totally want a heat gun and as much embossing powder my family can afford for my birthday next month! Thanks for all the information. I have never really thought outside the box. But, you have given me alot of ideas. It sounds like fun!!! Thanks for the great information! I've never heat embossed an entire object before, basically just used it on elements. I do have a question. When embossing the chipboard letter, did you leave it on a heat resistant surface and direct your heat gun at it or did you hold it with tweezers? I'm just wondering how not to smudge the powder off. Thanks! I entered the world of scrapbooking from rubber stamping. I've always thought heat embossing was one of the easiest ways to add a really special touch to a project. What I've done in the past for embossing letters is use a bit of double stick tape and either stick it on a pie tin then heat or on a scrap bit of paper then hold with a tweezers. Just depending on the size of the letter. I find tiny things will sometimes get blown away by the gun. Also I'd like to add I bought my Marvy Uchida gun in 1993 and I use it frequently. I have lent it out to people and even my husband has borrowed it. 16 years and it cost less than $15 so it is well worth the investment IMO. A great help with heat embossing for those new to it. It seems that was the first technique I learned 15 years ago when I started stamping so it has grown old to me and I dont do it as much as I should. Thanks for the reminder how cool it looks!! Great tutorial! 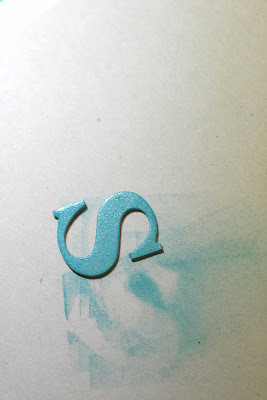 I love heat embossing and have been sorely missing it as all my embossing goodies are in storage. One of my fav ways to emboss is to color chipboard with a marker, let dry, then emboss with clear powder using my Versamark. 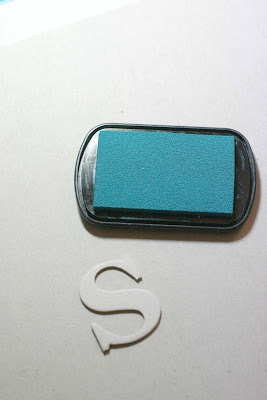 Love the look and I can get a lot more colors than using colored embossing powder! I have never tried this and always thought what's the big deal? You showed so many different ways to do this and I really think I might try it! Okay dumb question maybe but can you use a hairdryer? Thanks for the ideas! I've found the best way to removed the excess is to either tap the item on the try you are putting the extra powder on or just give it a good flick with your finger. As far as using a hair dryer IME they blow too hard and not hot enough. The ink dries and the powder blows away before it melts. You can in a pinch hold it over a toaster but really doesn't turn that great most of the time and isn't very safe. Get a heat gun it's worth it. I LOVE heat embossing. I have all the goodies for it, but unfortunately do not incorporate it into my work as much as I would like. I have actually made entire sheets of embossed paper by stamping all over the page and embossing - great way to customize paper or cardstock with flourishes, alphabets, or other designs that you like! Sometimes rubbing your surface with an anti static dryer sheet will help keep the powder from sticking where it shouldn't. My favourite embossing trick is changing the color of brads. 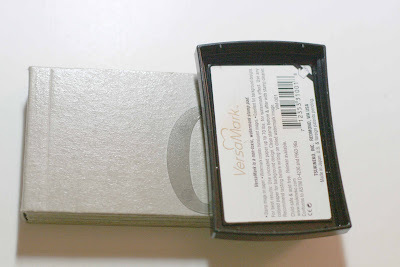 I keep a huge supply of silver and quite a collection of embossing powder colors. Holding the brad with tweezers, heat it up, dip it in embossing powder, heat again. Voila!! Just the right color brad. I love your reviews, always good to know what is out there and how it works best. Thank you for what you do. I love heat embossing and really appreciate the new ideas and techniques. 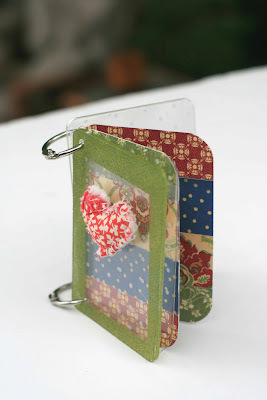 I love Heather's idea for keeping small embossed items in place--thanks! To add to lockylady's wonderful idea...I keep a small container of cornstarch and an old makeup brush in my stamp kit. 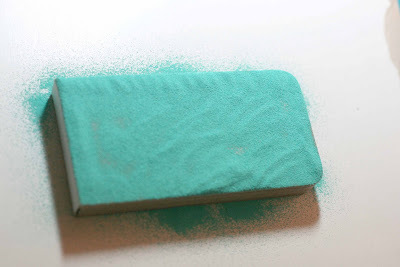 Before I stamp something, I brush a little on my surface and it keeps excess powder from sticking. I should heat emboss a lot more than I do. I tend to avoid messy things sometimes when I'm limited on scrappy time. After almost ruining my kitchen table last time, I received a creative tip from a friend about protecting your surface. She takes a piece of cardboard and wraps aluminum foil around it to heat the project on and guard her work surface. Pretty cool, huh? I haven't done any embossing in a long while. Thanks for the reminder of why I loved it. Will definitely need to try out some of your suggestions. Thanks! A big thank you for explaining and demonstrating what VersaMark does. I no longer feel like a complete dufus!